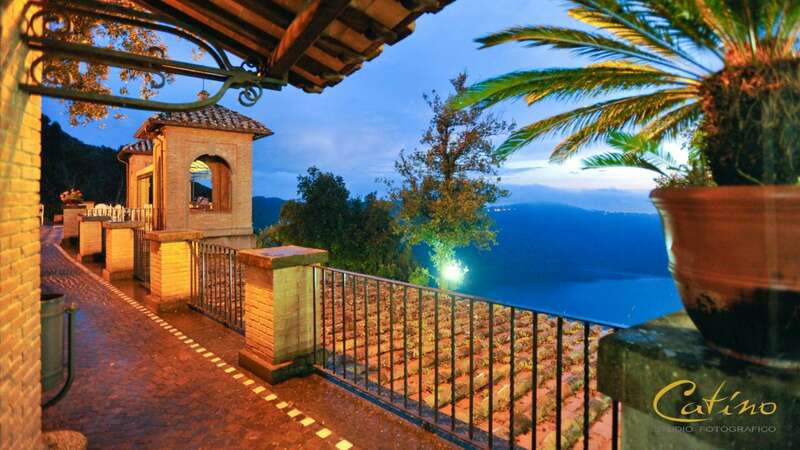 This exclusive architectural complex stands in the secular park of the Villa del Cardinale. 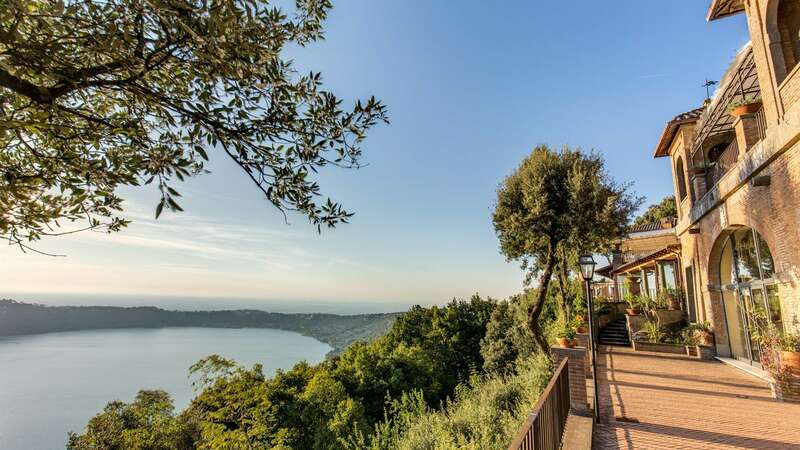 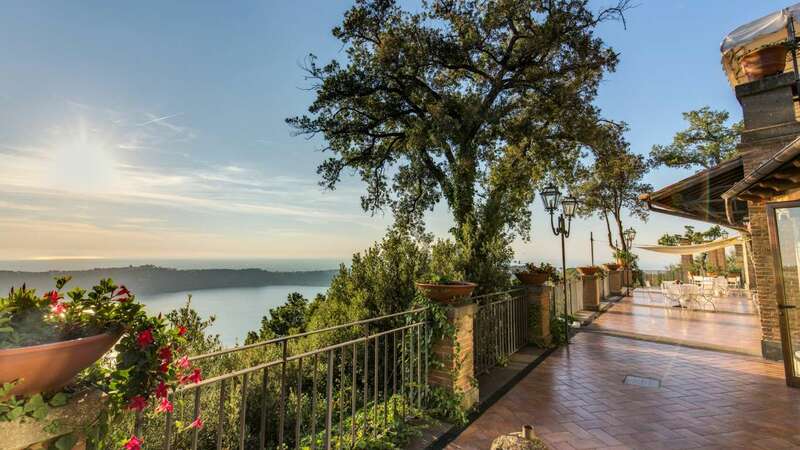 All the terraces and rooms making up the structure offer wonderful views over Lake Albano. 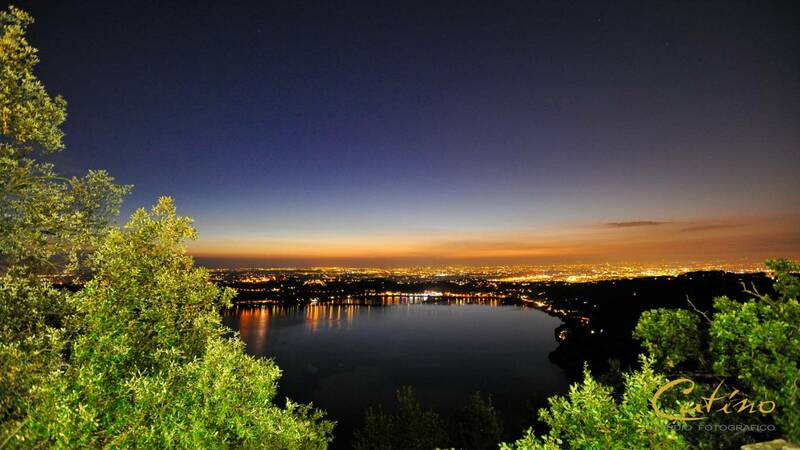 From dawn to dusk, the surface of the lake reflects the colours of the sky, offering new landscapes and unforgettable horizons every day. 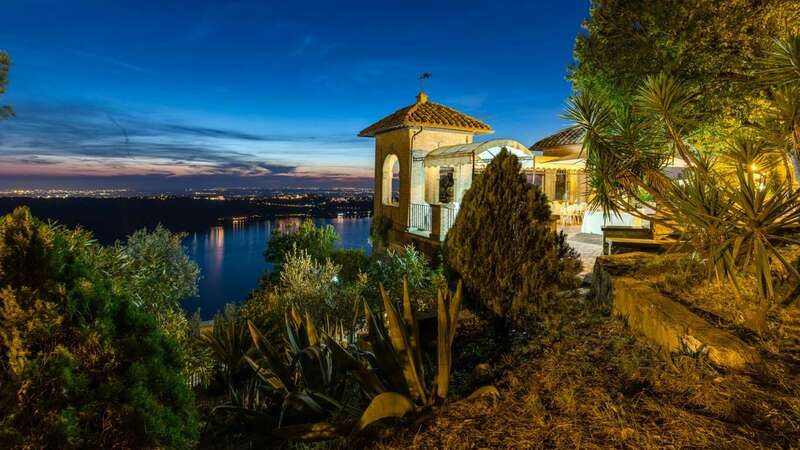 The setting is made unique by the avenues, views and archaeological ruins. 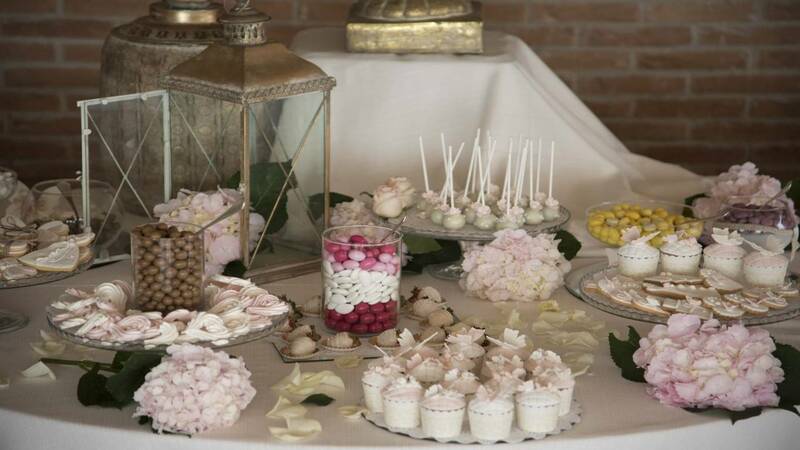 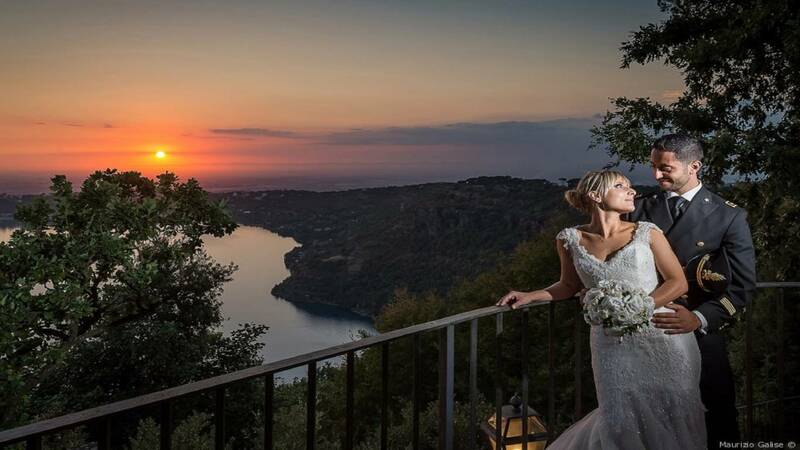 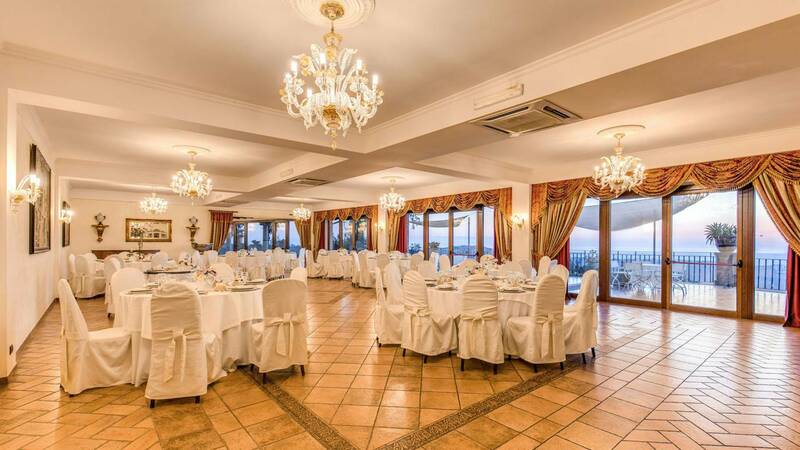 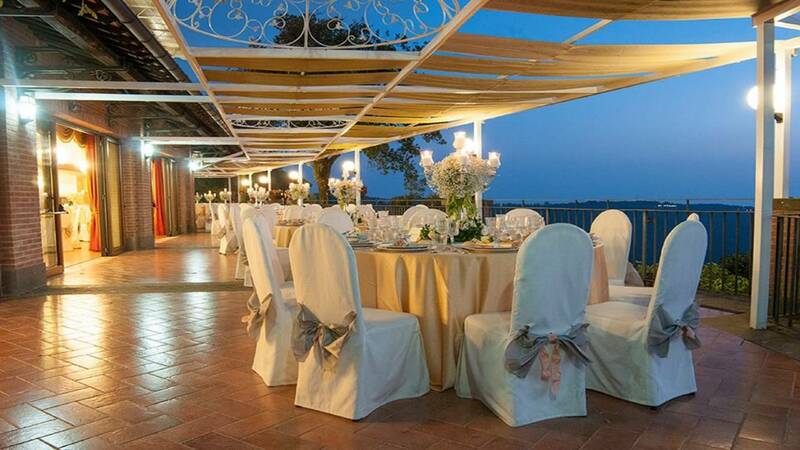 This is the ideal location for wedding receptions in Italy meetings and private parties near Rome, able to host events for 20 up to 230 guests. 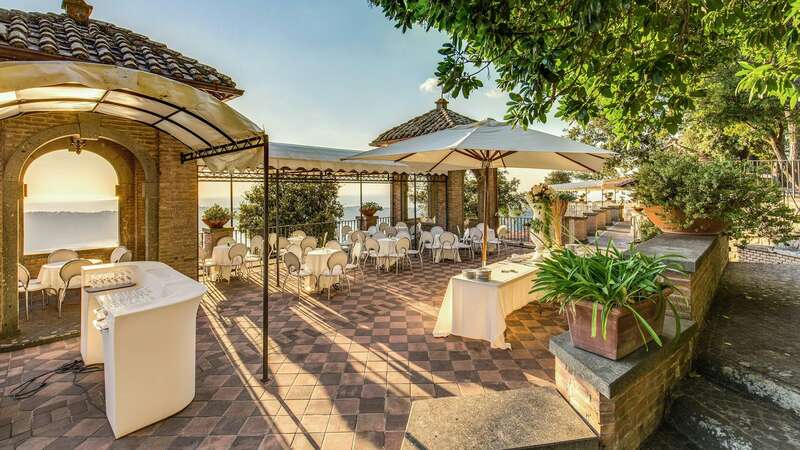 This location, as the others under the same ownership (Villa del Cardinale and Castel Vecchio), has its own highly professional internal kitchen; therefore, external catering is not allowed. 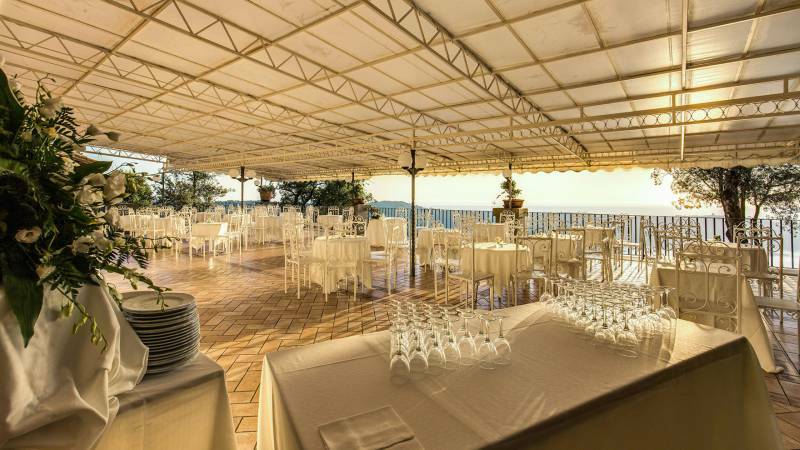 Spaces diversification with different styles and capacity represents the main peculiarity shared by Villa del Cardinale and Punta San Michele; completely independent from each other, standing out for different nuances, these locations have in common the same secular park and the same stunning view over the Albano Lake. 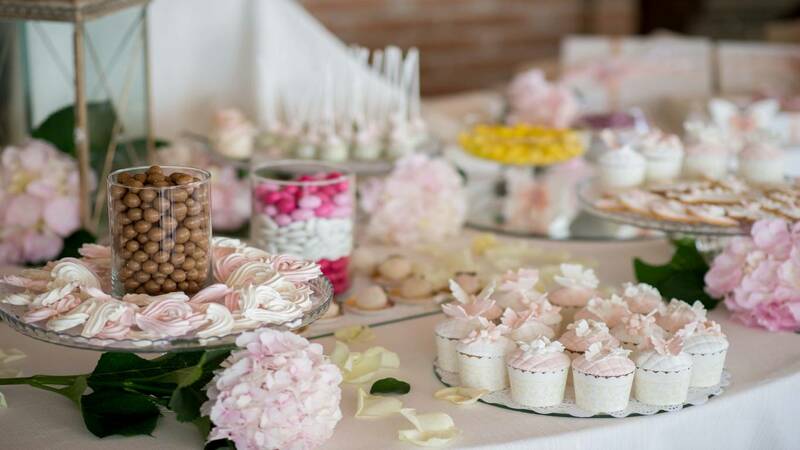 Our panoramic terraces is the ideal setting for Wedding aperitifs as well as the Grand Buffet of Fruits and Sweets, at the end of each event. 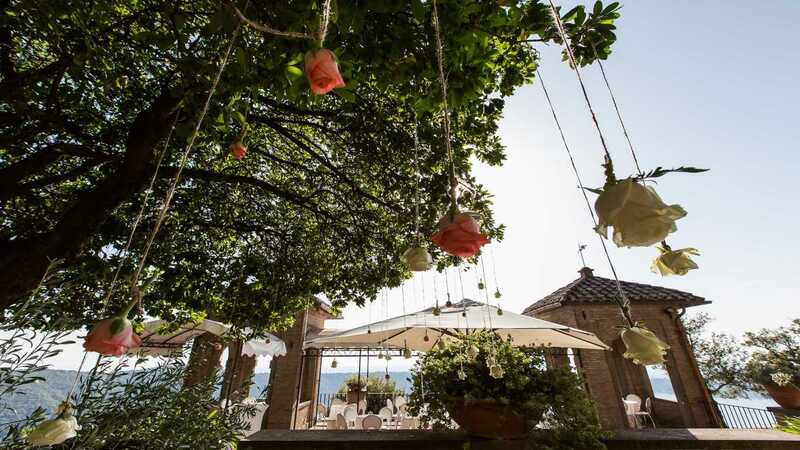 Our locations offer you the opportunity to appreciate our wines selection and at our ancient Grotta dei Vini and Antica Taverna for different taste itineraries, according to your preferences.